Let’s hope there isn’t a mashup coming! Thanks for making me laugh out loud! You might like this beetroot one! 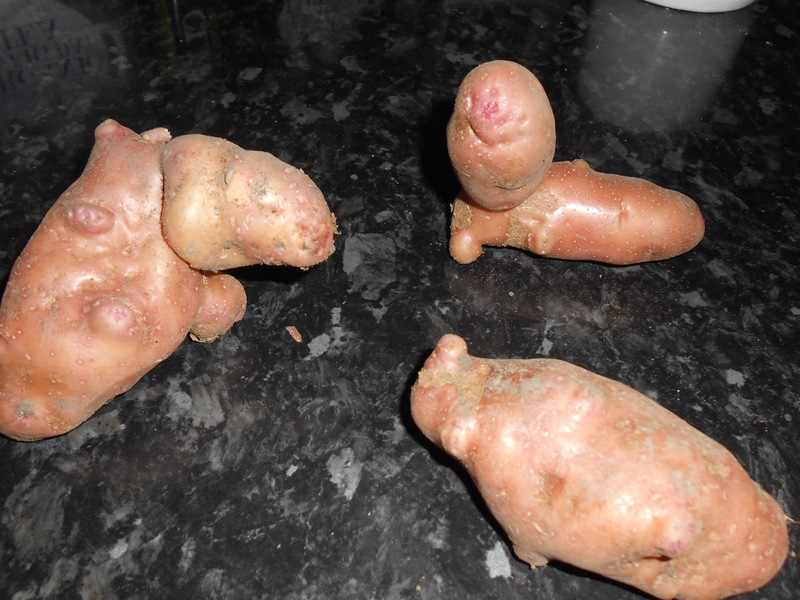 These are way weirder than a couple russets I have here that I’ve been meaning to photograph. Thanks for sharing for a good chuckle, Sarah. They didn’t avoid the knife and they were very tasty served with mushroom roast last night, but I did feel a little guilty about chopping them and did consider cooking them whole instead! oh my!! Poor things! They don’t look like they can run very fast! !